Publisher Jeremiah Tolbert is a writer and web designer who lives in Lawrence, Kansas with his wife and son. 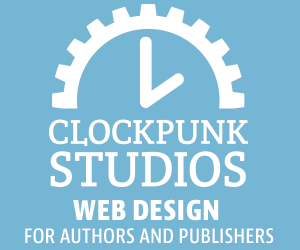 He owns and operates Clockpunk Studios. Editrix Molly Tanzer is the author of the steampunk weird western Vermilion (an NPR “Best Book” of 2015), the historical crime novel The Pleasure Merchant, and the British Fantasy and Wonderland Book Award-nominated sort-of collection, sort-of mosaic novel A Pretty Mouth. 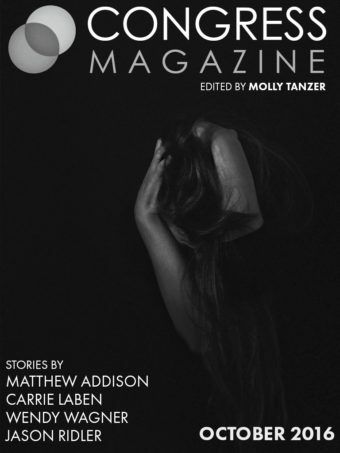 Her short fiction has appeared in Nightmare Magazine, the Lovecraft eZine, the forthcoming Transcendent: The Year’s Best Transgender and Genderqueer Speculative Fiction, as well as many other locations. Her other editorial projects include the forthcoming Swords v Cthulhu (with Jesse Bullington) and Mixed Up! (with Nick Mamatas). She lives in Boulder, CO.